IOPS (I/O operations per second) is an easily understood and communicated unit of measurement, which is why it’s so widely used. Unfortunately, it’s also easy to oversimplify. 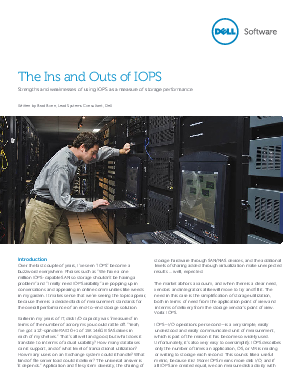 IOPS describes only the number of times an application, OS or VM is reading or writing to storage each second. More IOPS means more disk I/O, and if all IOPS are created equal, we should be able to measure disk activity with it alone. But they aren’t.